Arrived to our third stop on our Bali trip, the cultural city of Ubud. 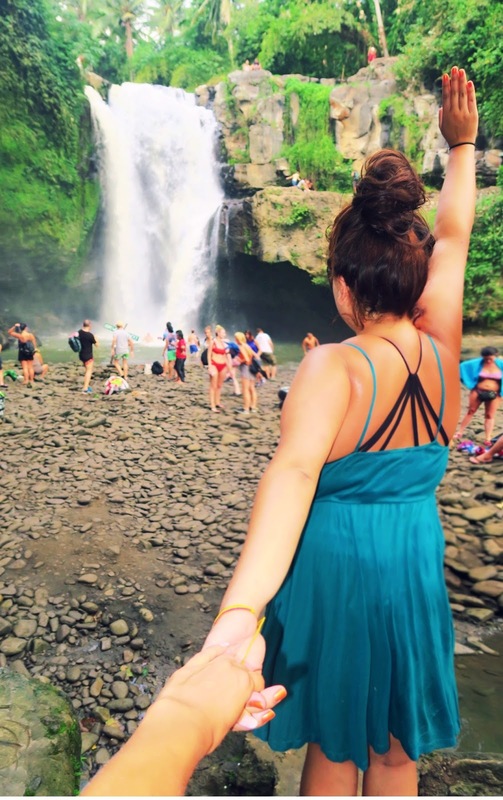 When you think of Bali, this is where you want to be! 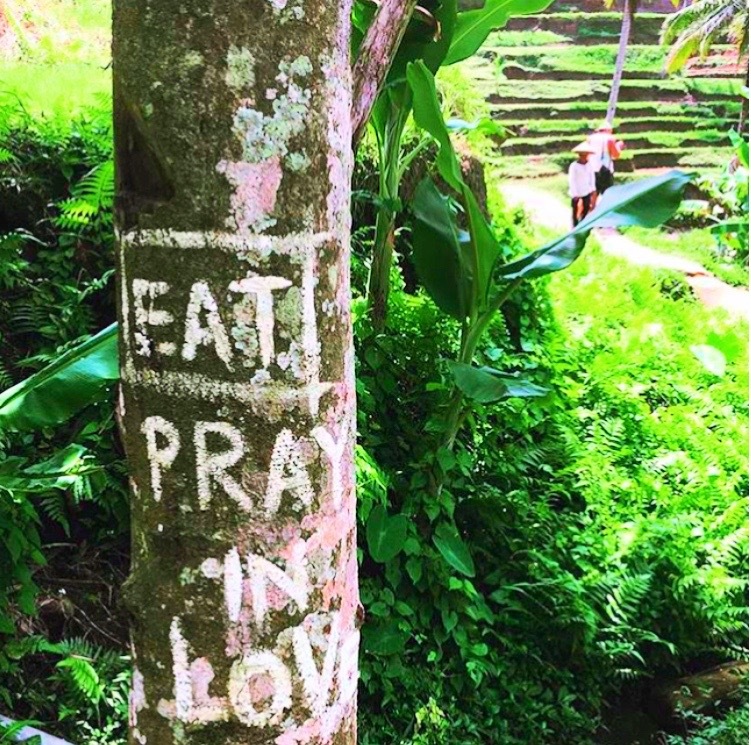 Ubud is known to many as Elizabeth Gilbert’s (or Julia Roberts’) final stop on her Eat, Pray, Love trip. 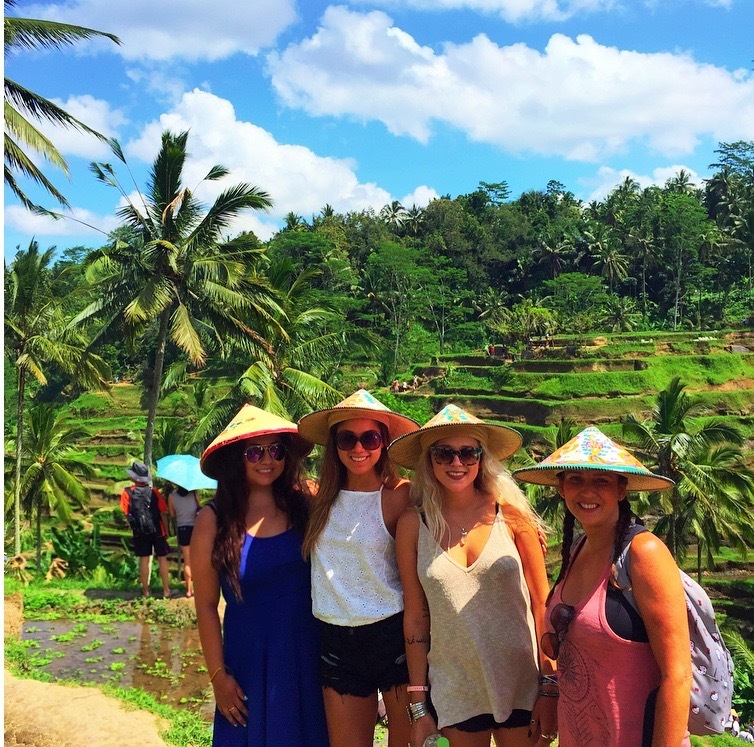 This rice field surrounded town, often referred to as the cultural heart of Bali, is high on many people's bucket-list. Balinese spirituality is a big draw for the town of Ubud, so it shouldn't be surprising that many people who come to the region do so in order to learn some of the local yoga and meditation techniques. It's also a hub for many vegan and vegetarians foodies, hipsters, and laid back souls. 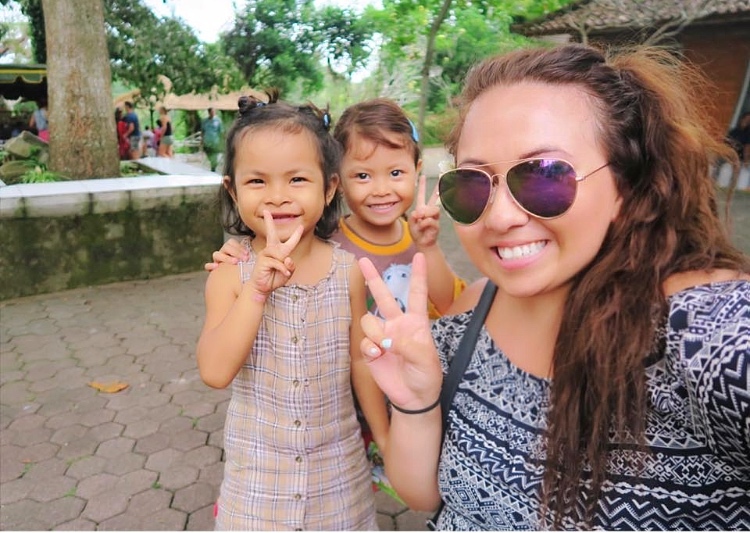 If you ever wanted to have a unique accommodation experience (click here) to check out the awesome Airbnb we stayed at in Ubud. 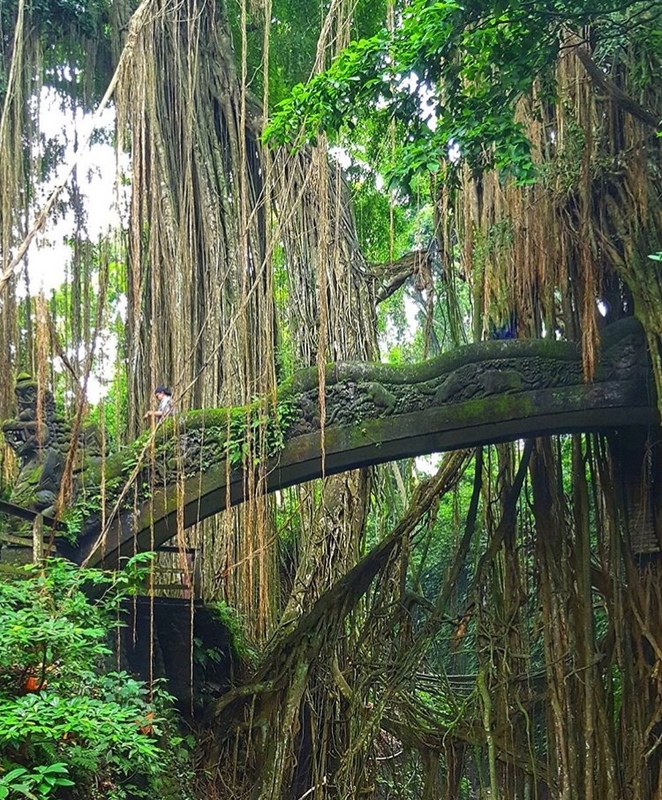 Monkey Forest is one of the most popular attractions in Ubud, and since the forest was just nearby our Airbnb, we decided to go check it out. You do have to buy a ticket to enter but it's worth experiencing. Be careful with your belongings! 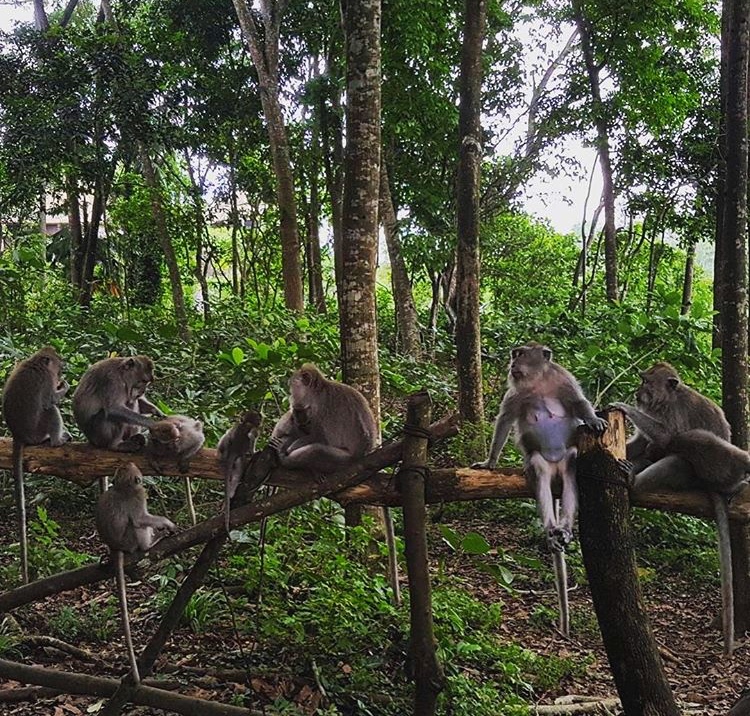 These monkeys may seem cute and friendly, but they are known to steal sunglasses, food from your bags, or whatever they can get their little hands on. Don't feed the monkeys either, I witnessed a few people get bitten. 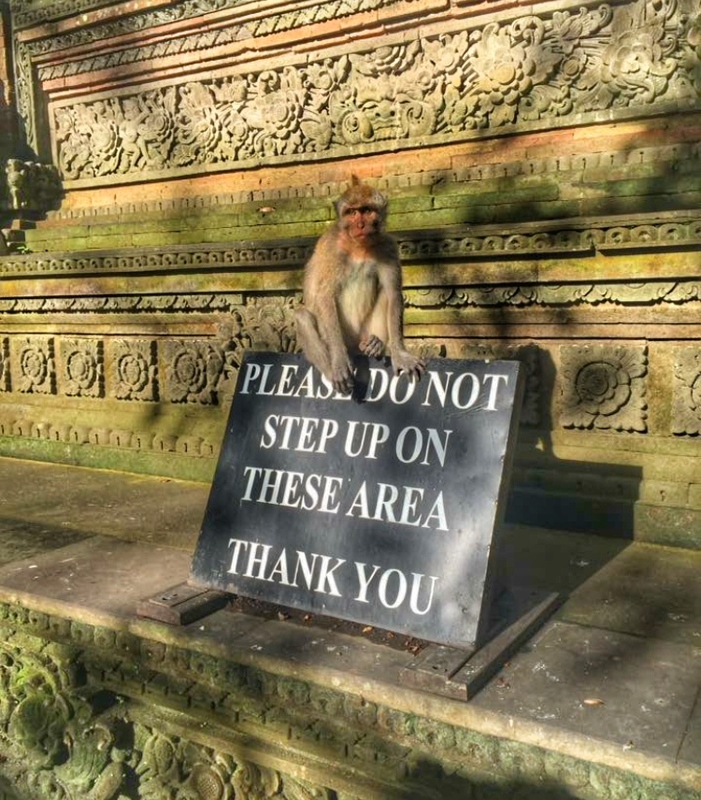 Some monkeys will jump on you if you get too close. I also saw a monkey pulled down a girl's pants down, which was hilarious to the surrounding tourists. We hired a taxi driver for the day and he had some tour packages available to choose from. 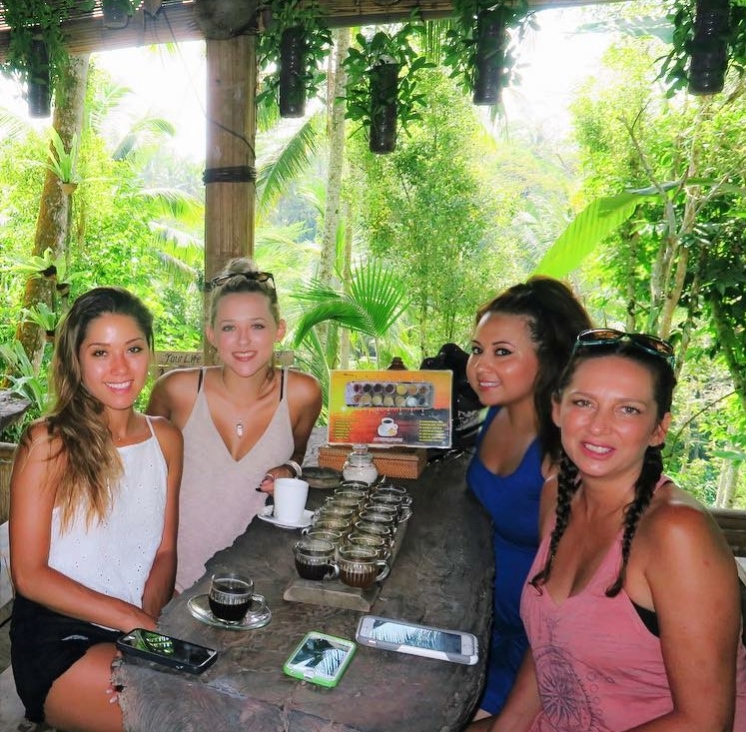 The places we were interested in seeing were the tegallalang rice terraces, luwak coffee tour, and the elephant temple. 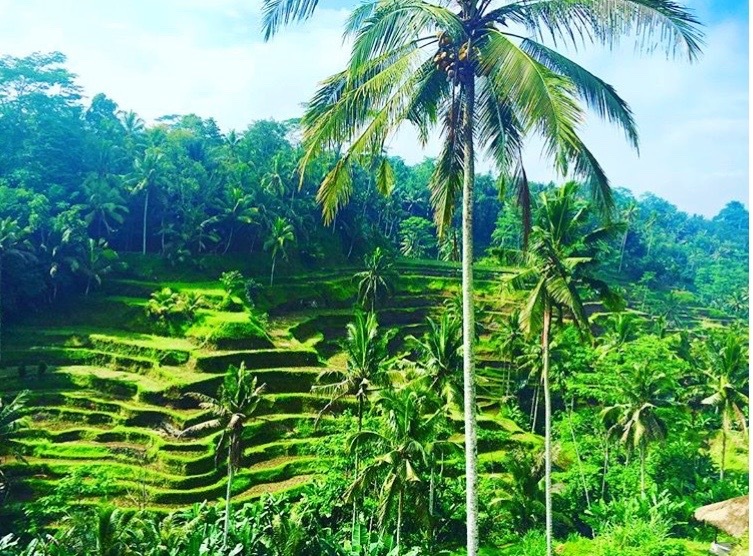 Tegalalang rice terrace is located 600 meters above sea level. When you see this place in person, you feel like you're in a different world. It's honestly so beautiful, I never seen anything like this before. There really isn’t a place to take a bad picture, but there are several spots where you can stop along the path and snap some breathtaking images. As you go further along the path, you will come across a few places where locals ask for a donation (which is really mandatory). 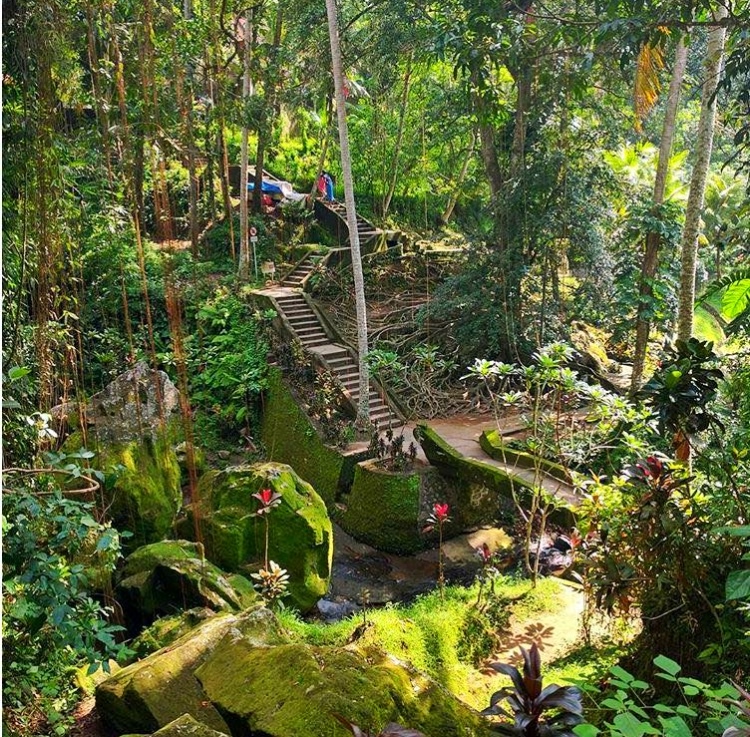 These donations go toward maintaining the paths and bridges that visitors use to hike the terraces. I do recommend coming earlier in the day to visit if you want to avoid the crowds. 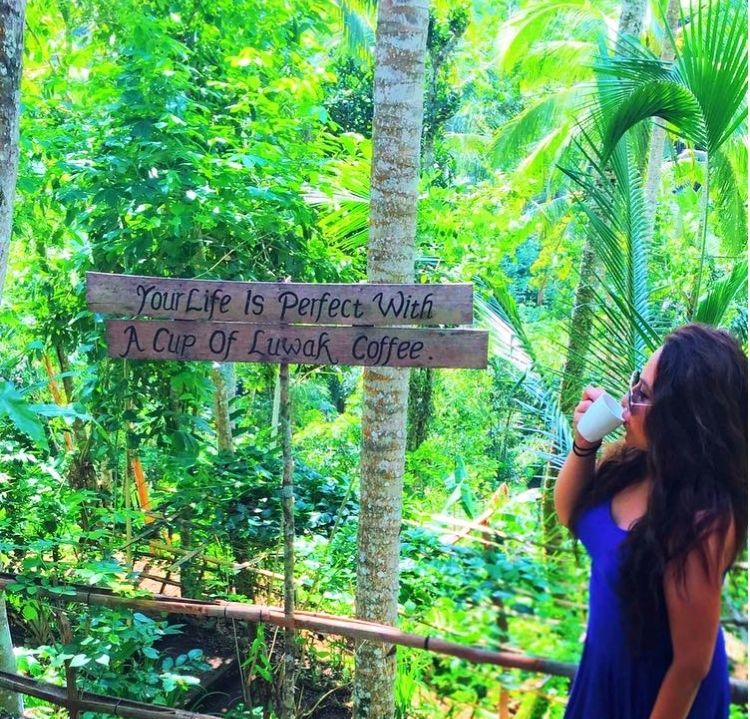 In Ubud, you must try some luwak coffee! 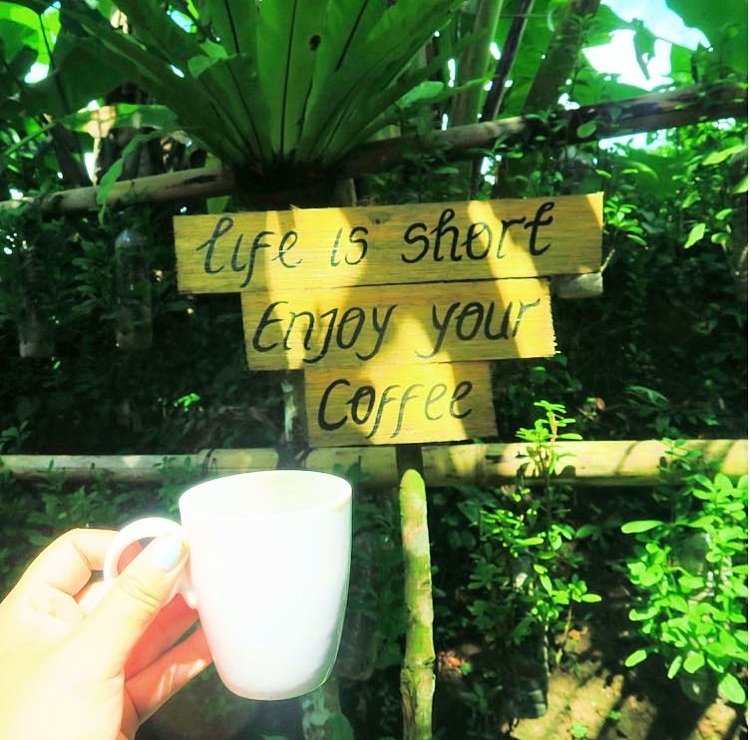 There are many coffee plantation tours available throughout Ubud but the one that was offered to us by our taxi driver was amazing! 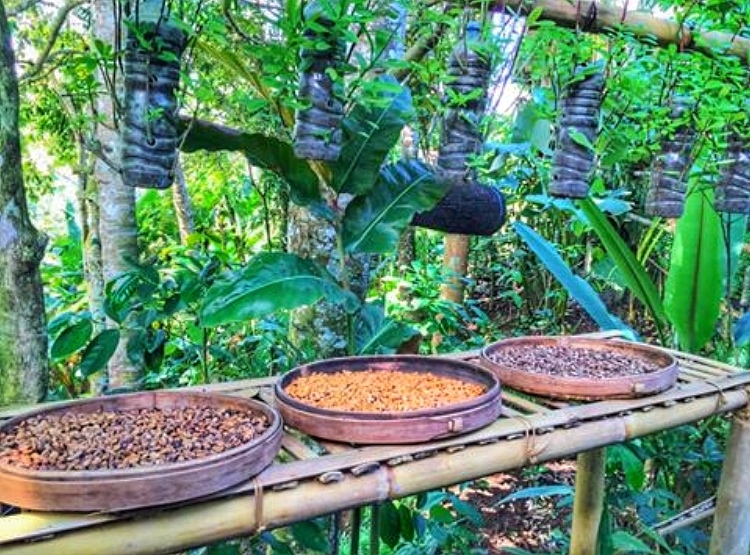 You're able to see the Balinese coffee making process as well taste test local teas and coffee's. 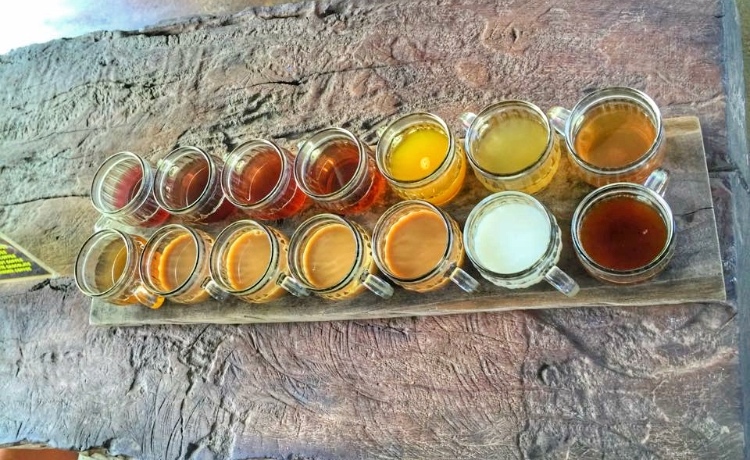 They also have a store that you can purchase teas and coffee flavors to bring back home with you. 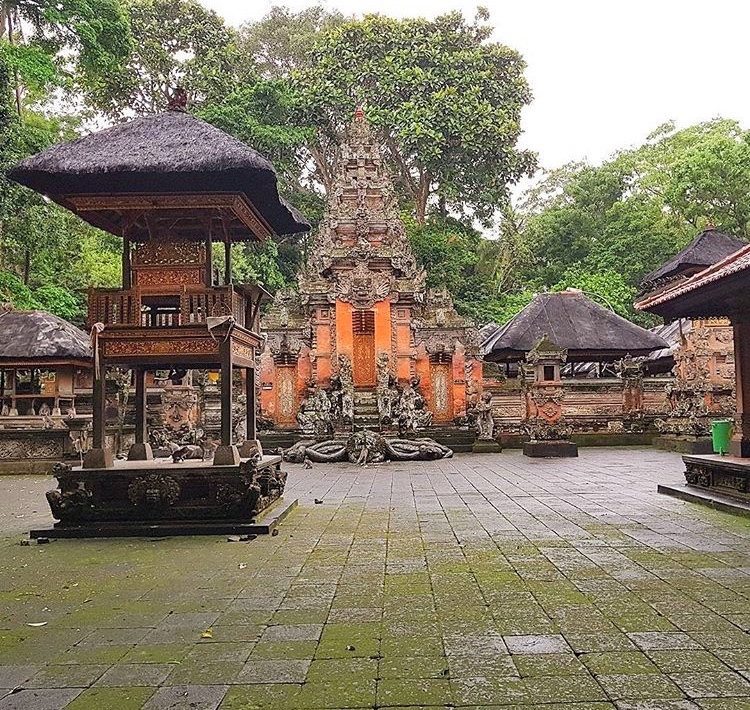 Located just 10 minutes outside Ubud is Goa Gajah is a significant Hindu archaeological site. 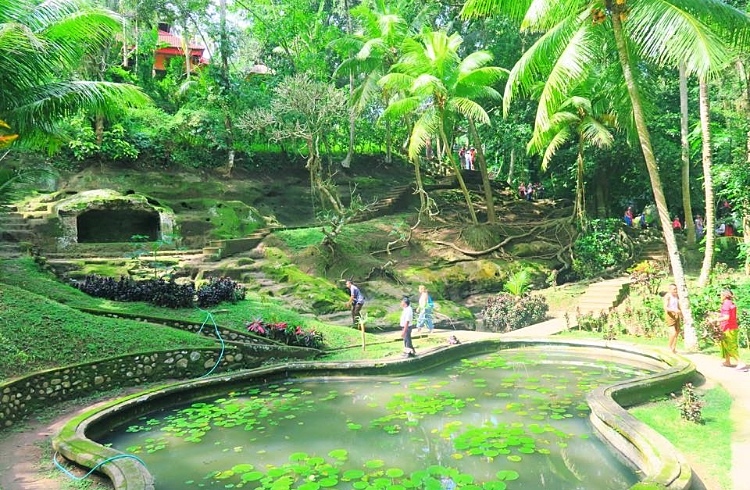 Goa Gajah is locally known as the Elephant Cave because of its close proximity to the Elephant River. There is an entrance fee to enter and your legs your have to be covered. There are sarongs available outside the temple to rent or buy. 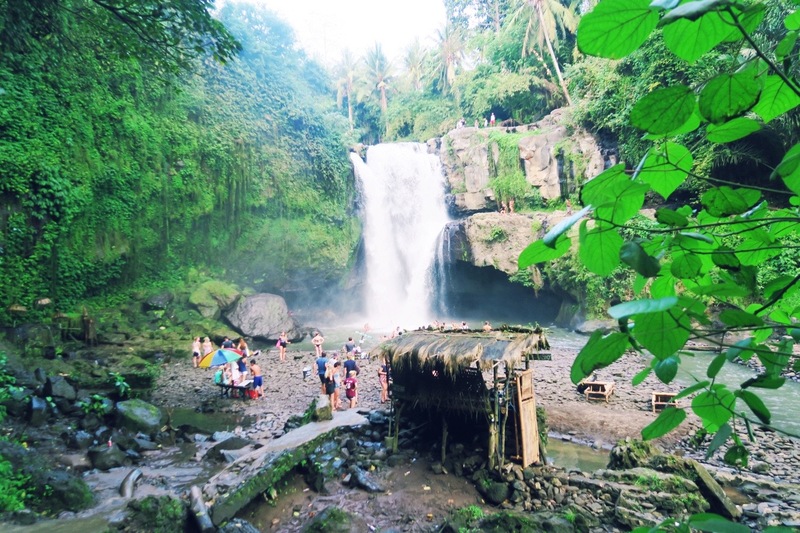 Goa Gajah is still an active worship site so try not to get in the way of worshippers. I won't take that long to see the grounds but it's very beautiful. 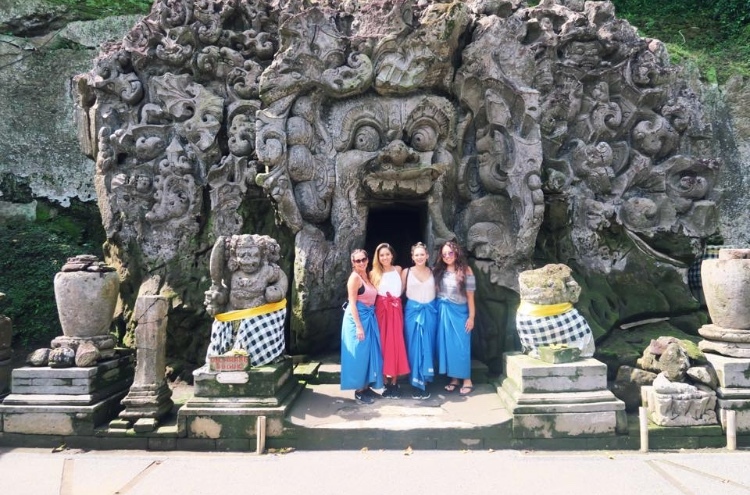 Visiting at least one Balinese temple during your trip is must! 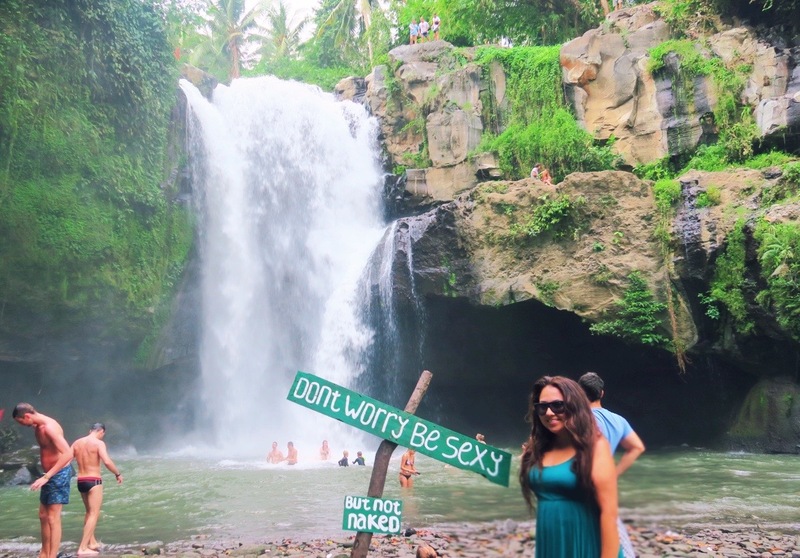 This is one of the more accessible waterfalls in Bali. 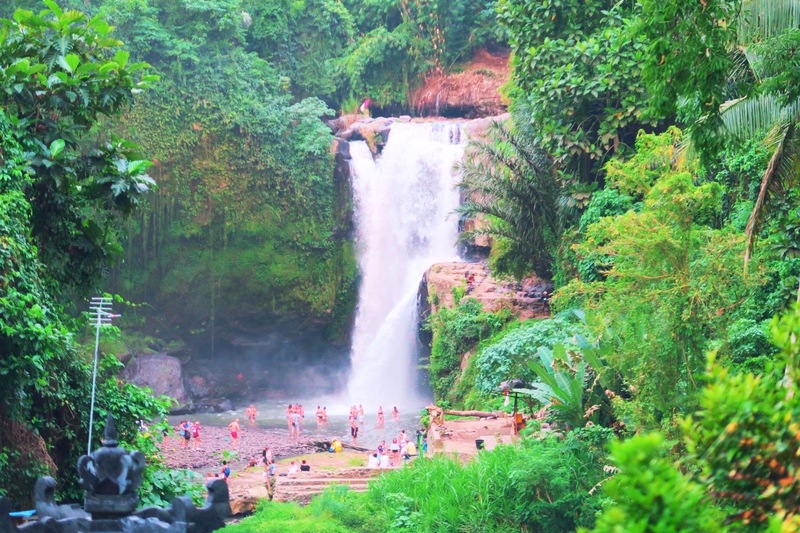 Located only 10 minutes from Ubud, you'll find yourself wanting to chase some waterfalls (TLC reference anyone?). After paying a small entrance fee, you will walk through small shops and at the end you'll find yourself at the top of some stairs. You will need to descend these stairs to get to the waterfalls. Keep in mind these stairs are a bit steep and climbing them back up will give your legs a workout! It was probably not the smartest idea to visit the waterfalls after a volcano hike, because my legs were feeling like jello at this point. I recommend visiting the waterfalls as early as you can in the morning, to beat the crowds. We went before sunset and it was pretty busy. Like I said before, it's one of the more accessible waterfalls that you don't have to any sort of trek to get to, you can go in flip flops and be fine! 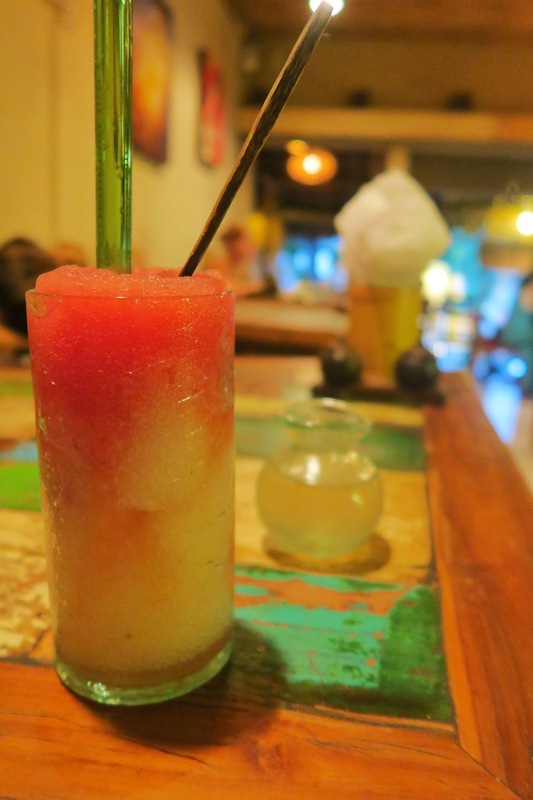 Ubud has HUGE assortment of restaurants that will satisfy everyone's taste buds. Restaurant prices are a little higher than the average Southeast Asian meal and there's a 15% tax added to restaurant bills. If you're a vegan, this will be your favorite place! 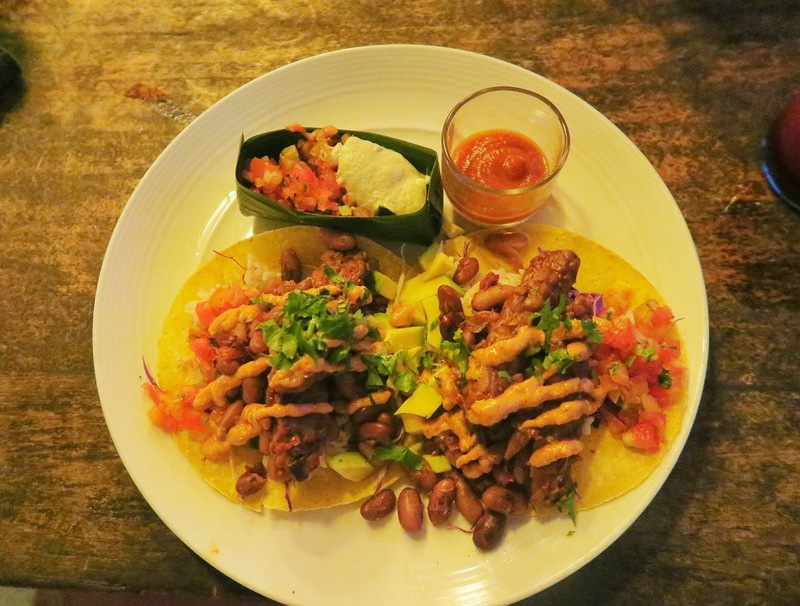 There are countless of restaurants that are vegan specific. 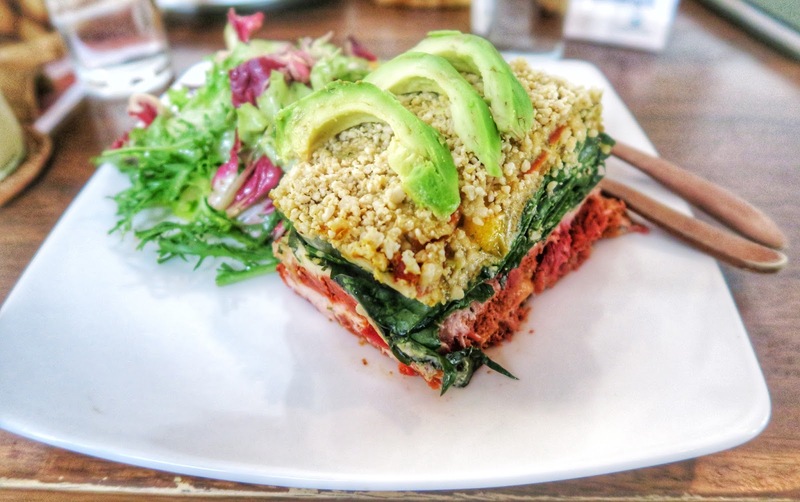 Even if you're not vegan or vegetarian, I encourage you to try some dishes. 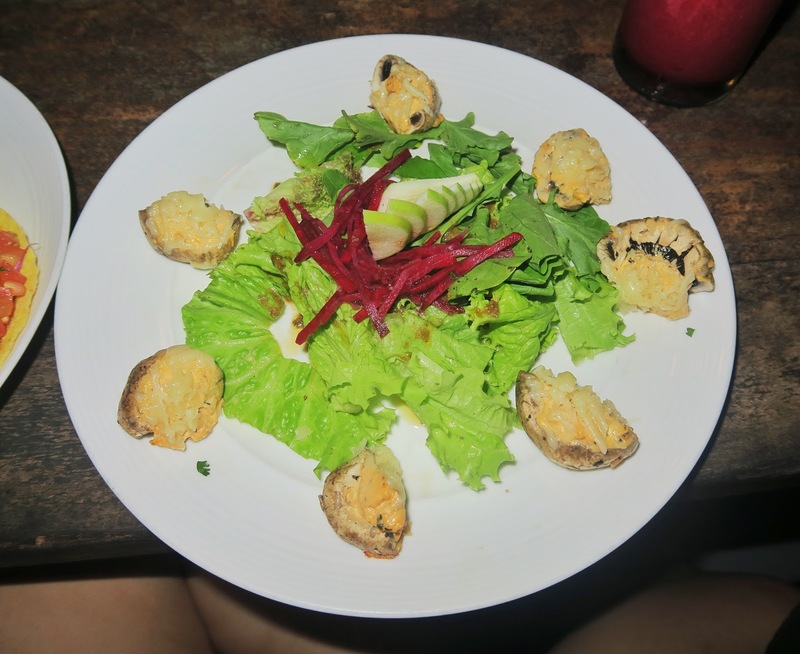 There was a girl in our group who was vegetarian so in Ubud we would go to a restaurant of her choice. 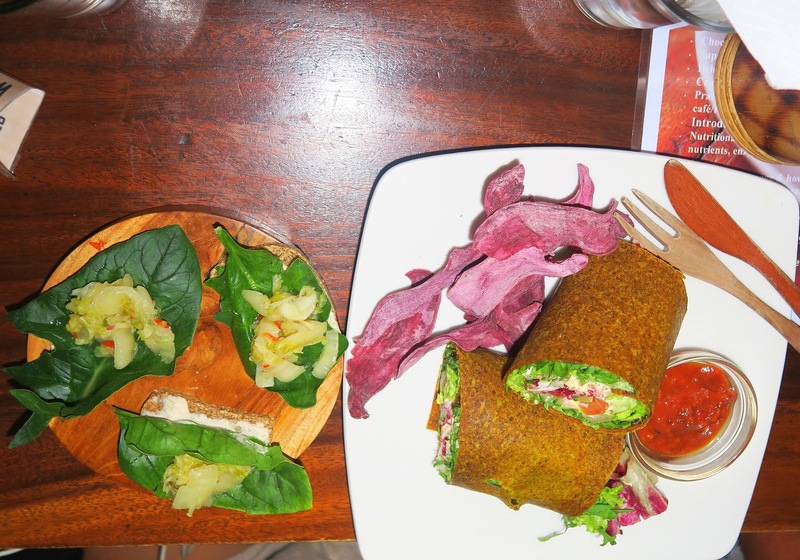 I tried many vegan dishes for the first time and loved it! 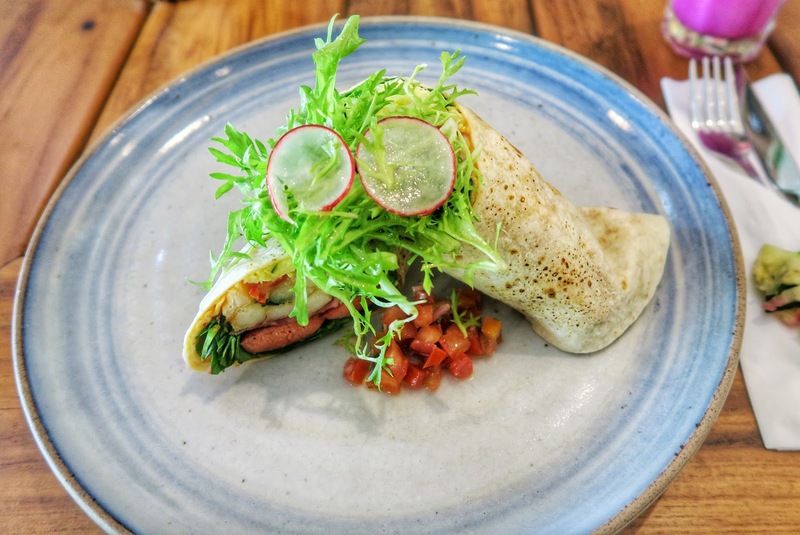 Don't worry there are plenty of regular restaurants as well with international and western selections to choose from as well as traditional Balinese cuisine. 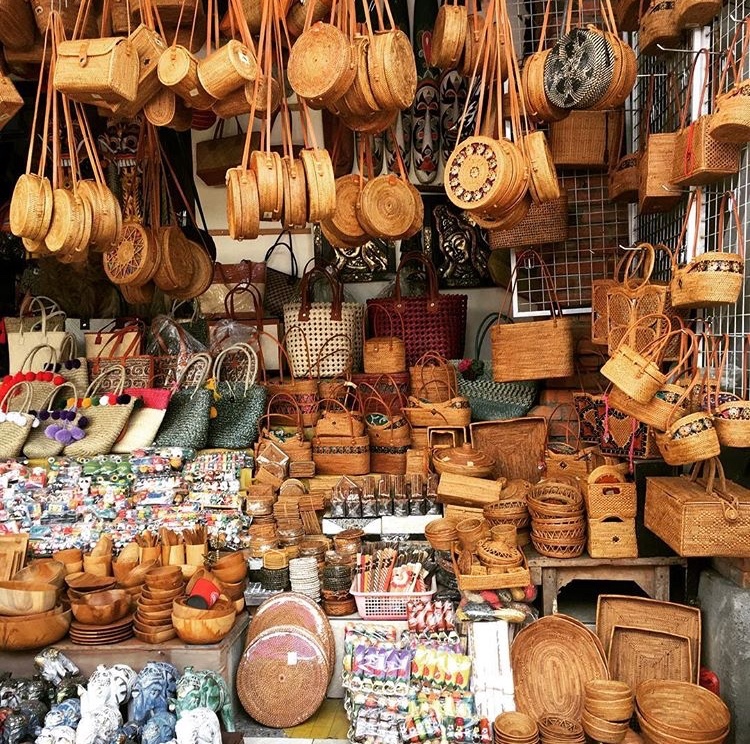 Ubud is where you want to get some shopping done. 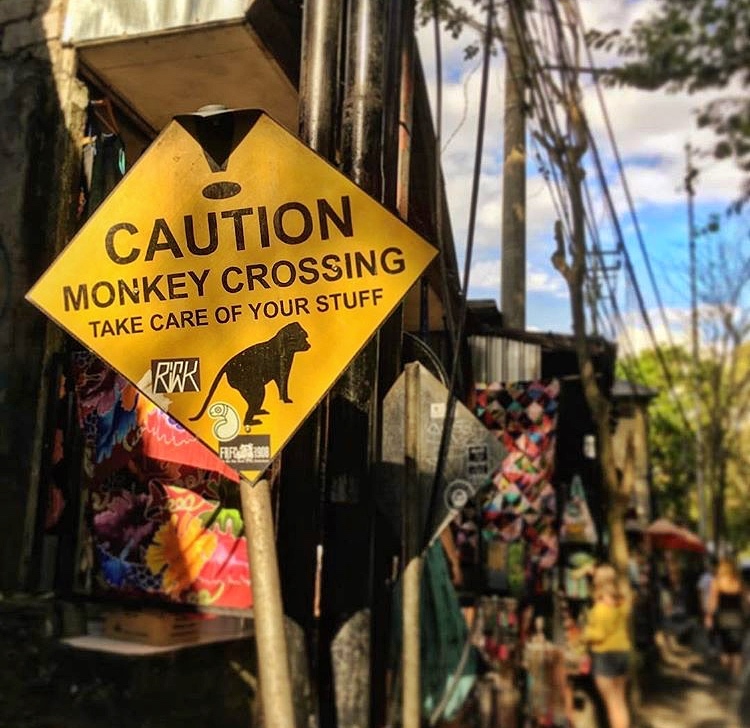 I found the most unique souvenirs in this specific city compared to the other places in Bali that we visited. 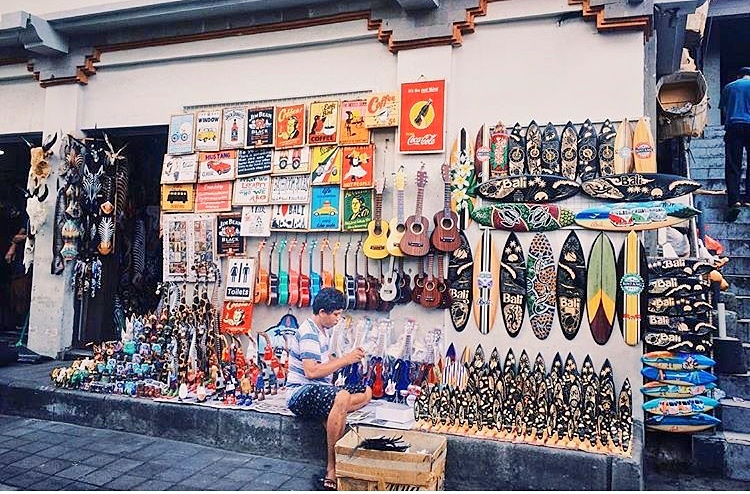 I love anything handcrafted by locals and things that are unique to whatever country I travel to. There are shops literally everywhere you go. 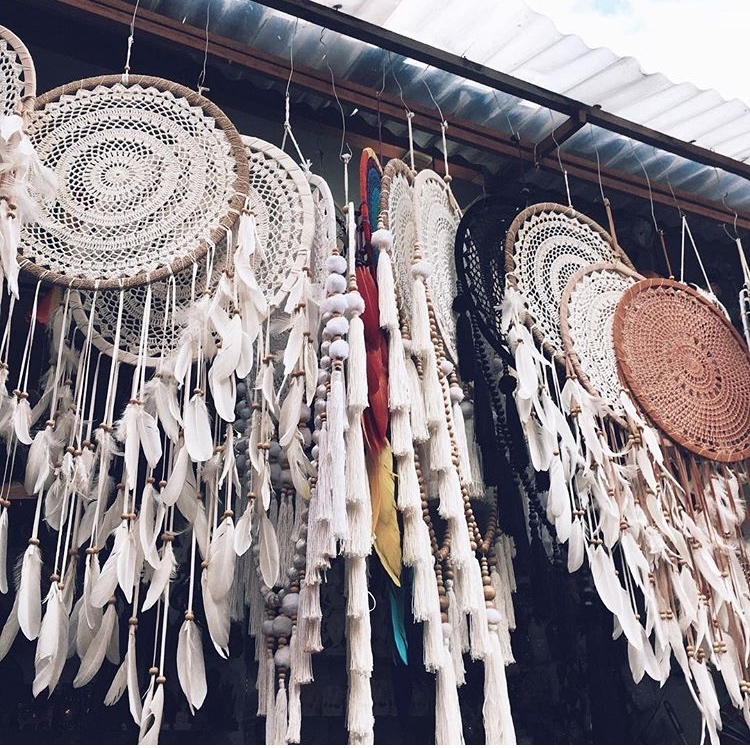 The home decor pieces that are sold in Ubud are so unique and beautiful, it's hard not to spend all of your money shopping! Just remember you can always bargain your way for awesome deals. What better way to relax than getting massages and pampering yourself. 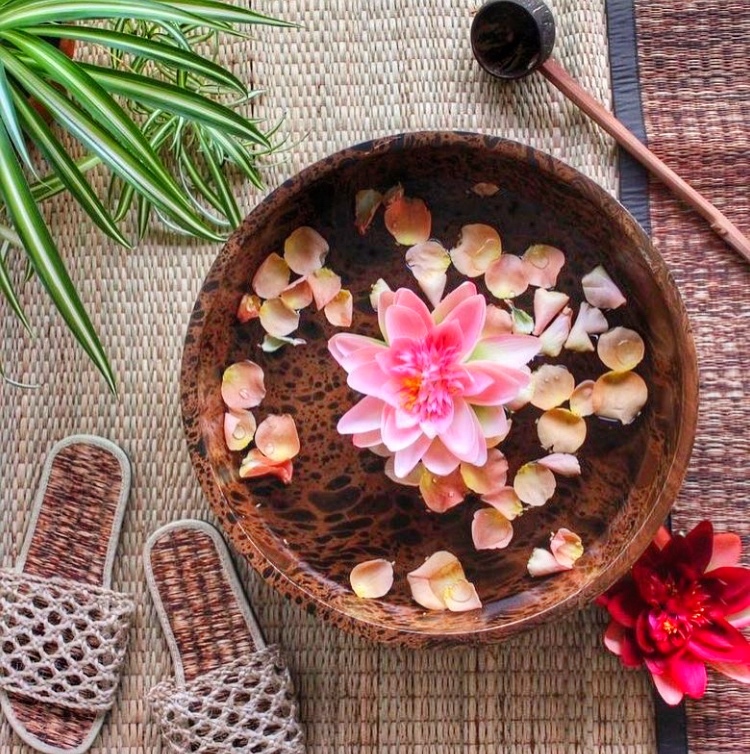 There are many spa's located in Ubud for everyone's budget. Right after the Mt Batur sunrise hike, I made sure to get a massage and also get my nails done. If you want to read more about the Mt Batur sunrise hike (click here). 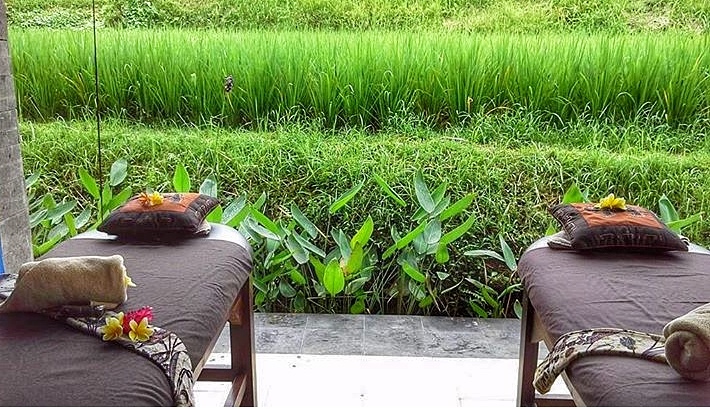 Ubud is the known for it's yoga retreats. 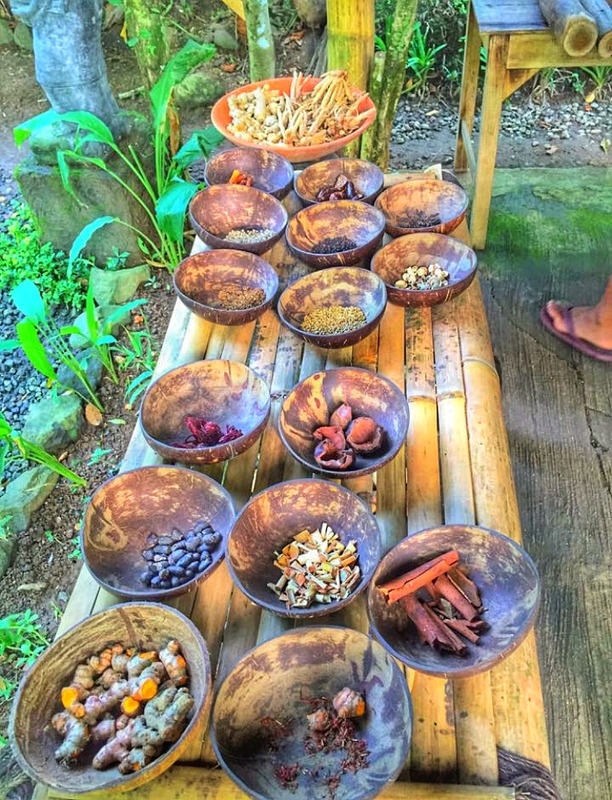 You can find a range of classes for all different levels in many studios all around Ubud. 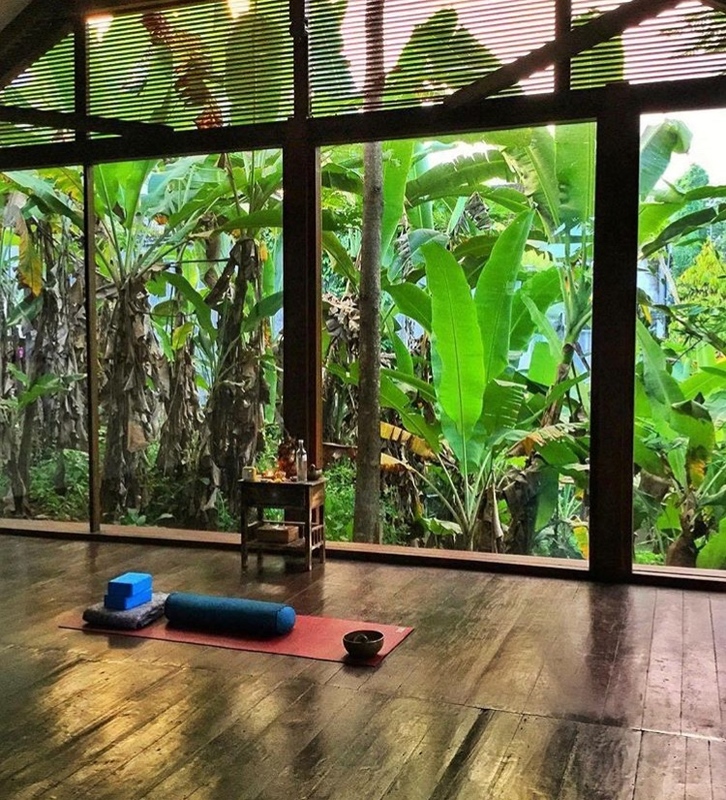 What makes taking yoga in Ubud unique is that most studios are designed to be open plan, meaning you can take in the beautiful surroundings at the same time. 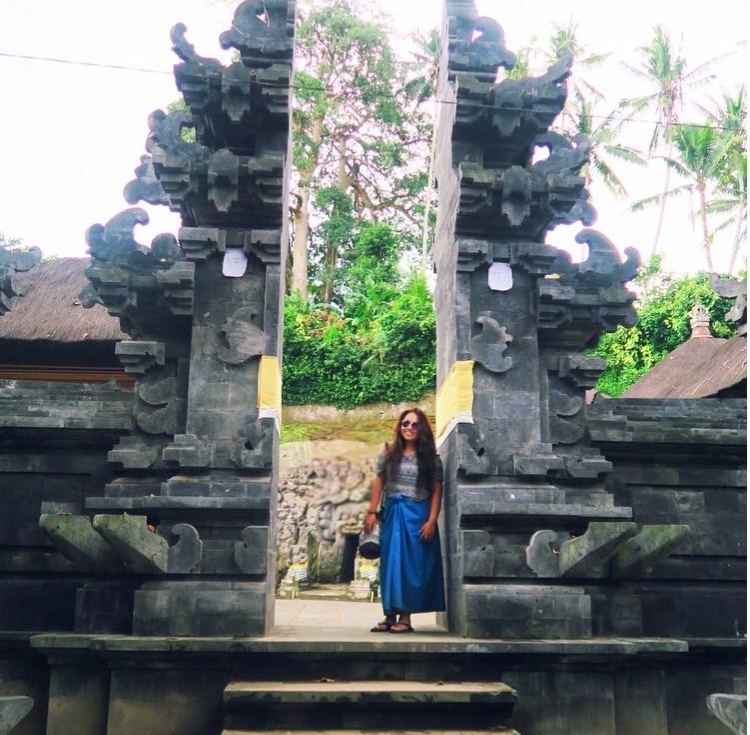 What's your favorite city in Bali? 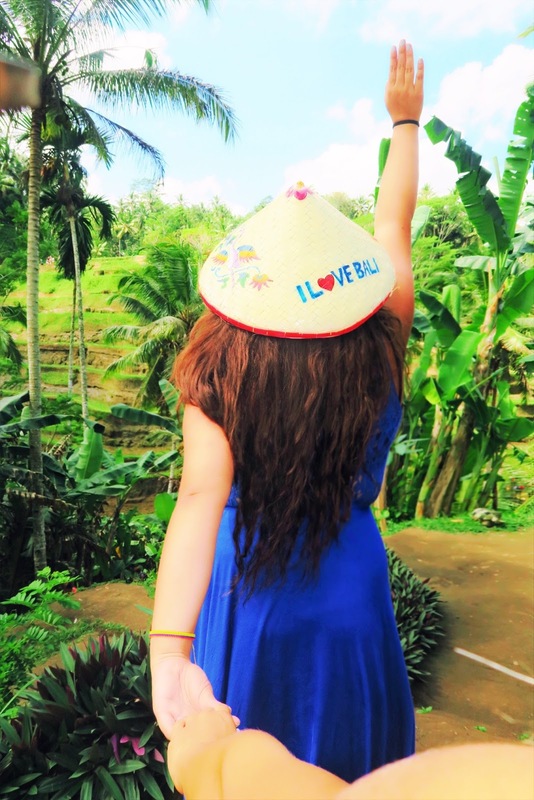 Ubud is such a beautiful place. It is on the top of my list in Bali. With your blog, I got a clearer perspective of traveling here. Thanks for sharing. 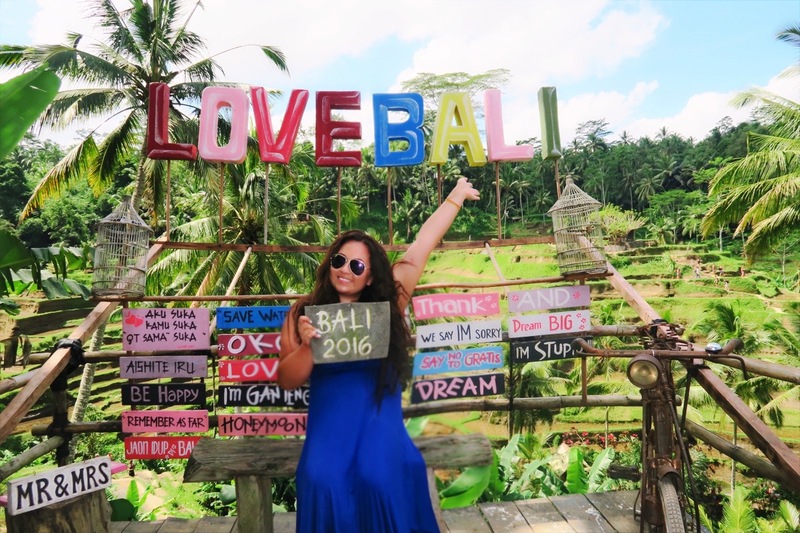 Ubud is amazing, hope you get to visit! Green parks and ancient temples. These all looks so usual for a European eye. I would love to go there, see and photograph things myself. It's a gorgeous place to photograph! 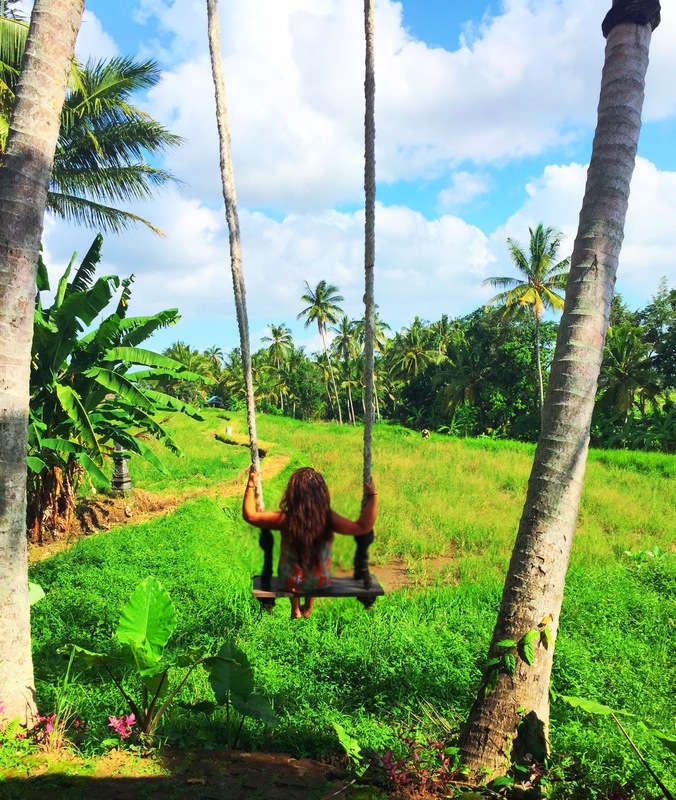 Ubud is one of the place I wish to visit in Indonesia and experience it genuine and pristine lifestyle. And learn few cooking tips from the locals. It's an amazing place to visit! 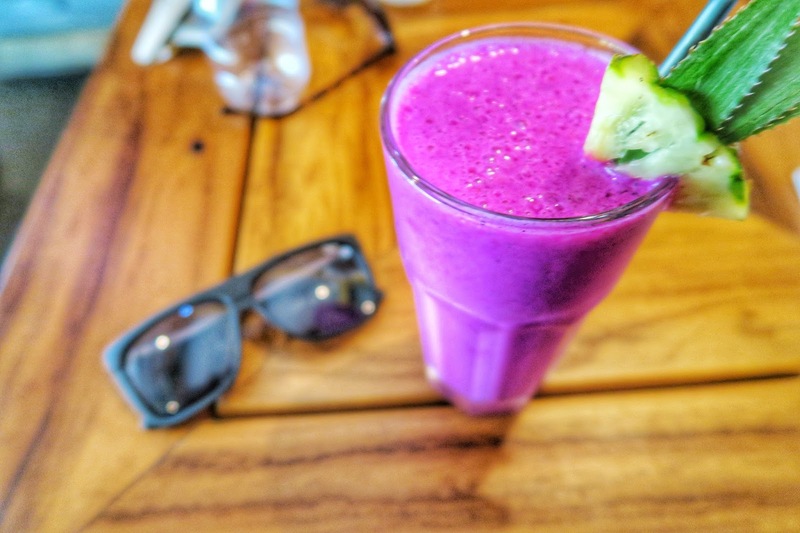 Bali is the best place in Indonesia to eat well. Seriously, they have so much great food. I loved the rice terraces too, such a peaceful place in the morning with a great light. The food was so amazing and fresh, I miss it! I really like rice terraces, I would gladly take pictures there. I would not refuse a cup of coffee and eat something local. And of course yoga. I have been practicing yoga for several months, so I would love to practice in Bali. 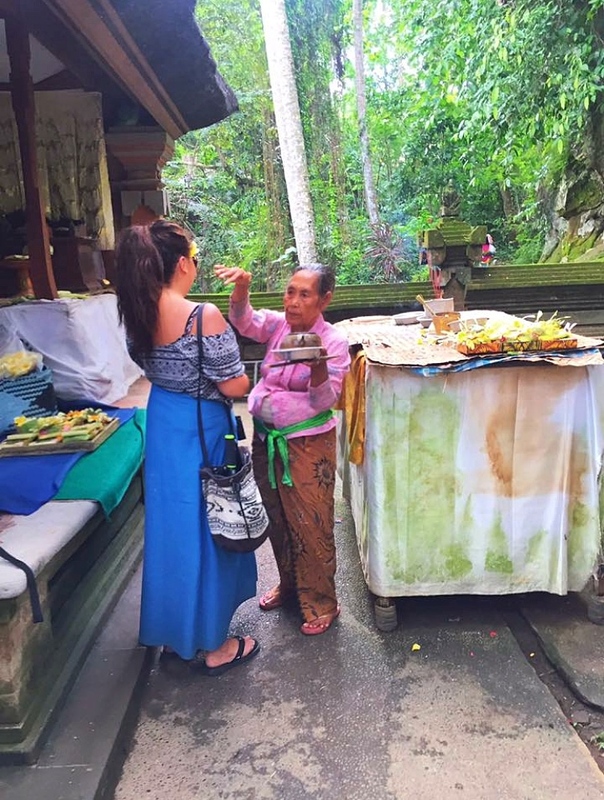 Yoga is everywhere in Bali especially in Ubud!